The Organic Trade Association will host a full schedule of membership activities and events in conjunction with Natural Products Expo East from Wednesday, September 13 through Saturday, September 16, 2017. This exciting week in Baltimore serves as one of the primary, annual gathering places for the OTA membership. The Organic Center’s 2018 Organic Confluences Summit will take place Monday and Tuesday, May 21-22, at the Hall of the States, Washington, D.C. The Organic Confluences Summit is held in conjunction with Organic Week D.C.
EcoFarm Conference will be held January 25-28, 2017 at the Asilomar Conference Grounds in Pacific Grove, CA. The Organic Trade Association (OTA) will host a pre-conference organic produce meeting series in Pacific Grove, California prior to the conference. The National Organic Program (NOP) has posted the Proposals and Discussion Documents to be discussed and voted on the next National Organic Standards Board meeting (NOSB) Nov. 16-18 in St. Louis, MO. 7.29.16: The mandatory GMO labeling bill introduced by Senate Agriculture Committee Chairman Pat Roberts and Ranking Democrat Debbie Stabenow passed the Senate and the House of Representatives, and was signed by President Obama on July 29, 2016. Read OTA’s messages to our membership. Thousands of certified organic farmers, ranchers, handlers, processors, distributors, and other businesses across the organic supply chain are voicing their support for this trailblazing program that will fund research for today’s producers, provide technical assistance for tomorrow’s farmers, and educate consumers on the value of organic food and farming. 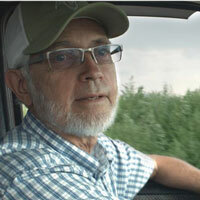 Selected to receive the Organic Trade Association's 2016 Organic Leadership Award for Growing the Organic Industry, David Vetter has unselfishly mentored and shared information about organic to countless numbers of farmers transitioning to organic production, from Canada to Central America, from Europe to Australia.